Losing Bulawayo South Member of Parliament Josphat Mzaca Ngulube who was arrested during the army crackdown following the #ShutdownZimbabwe protest has spoken out for the first time since he was granted bail last week. He was detained at Khami Maximum prison. 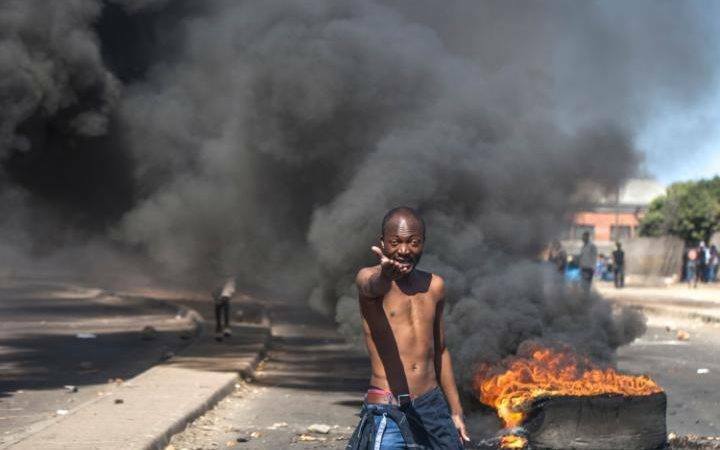 Ngulube is famed for having called for all citizens of Bulawayo to engage in a massive uprising dubbed #ShutdownBulawayo on the 16th of January. However his call for protest was overtaking by a three day violent protest that commenced on the 14th of January. "Arrested youths were traumatized, you can't arrest jiggies thieves and house them with D class criminals.We have recruited more criminals because what they met and were taught has changed them completely, As leaders we should think before we act!" Ngulube said. Ngulube revealed that there were arrested persons who died in remand prison due to vomiting blood. "Who will be prosecuted for those who died during demonstration? Especially those who died in prison vomiting blood? "Arresting torturing killing civilians won't solve economic crisis, Zimbabwean leaders should be matured solve the problems don't persecute civilians." Ngulube and 11 others are accused of fanning and taking part in the violence that rocked the country in January. The state accuses them of burning three cars, destroying a precast wall and breaking several windows of a house belonging to ZANU PF Bulawayo provincial women's league chairperson, Eva Bitu. Ngulube who contested elections as an Independent joined the opposition Movement for Democratic Change led by Neslon Chamisa soon after the elections.